Don't let Snow White get away with being the fairest one of all! 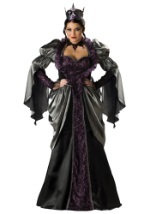 This evil Queen costume includes a gown that is made from a polyester nylon blend. Black lace over purple cloth creates a flattering "V" shape down the front of the gown. A silver adornment lines the bust and along the front of the dress while a silky over skirt adds pleasing volume to the gown. 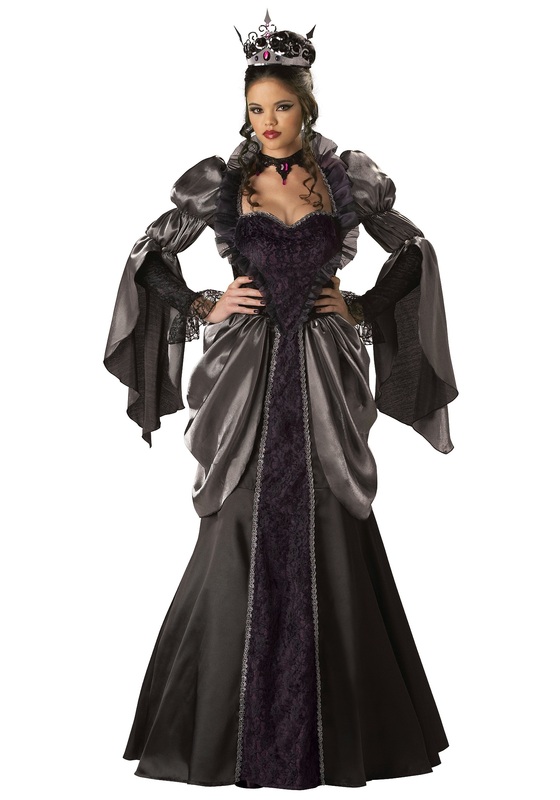 Elastic bands keep the fluttering black sleeves in place and the forearms of the sleeves are made from a matching black lace over purple fabric. The gown zips up the back to keep you looking fabulous all night. 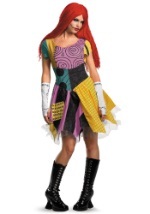 The costume includes a black mesh petticoat that fits around the waist to add volume to the skirt. A beautiful lace choker with faux purple gemstones fits around the neck and a sequined crown with matching faux purple gemstones fits around the head to make this an unforgettable costume. 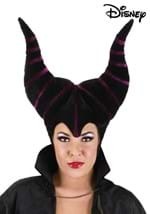 Become the next princess villain in this evil queen costume!